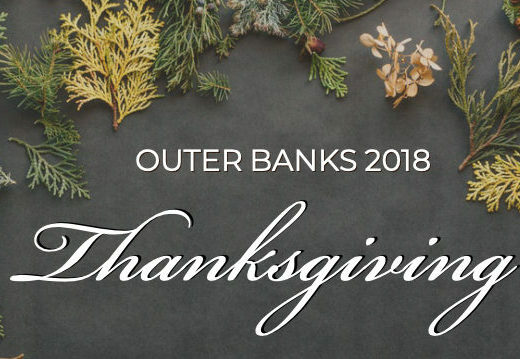 An Outer Banks Thanksgiving is all about family, traditions and delicious food. Gather with your loved ones for a traditional family Thanksgiving or even a “Friendsgiving” at our Beachside Bistro restaurant! Skip the hours of food preperation and post-meal clean up by dining out on Thanksgiving. Passing on the food preparation and cleanup means more time available to be spent with your family and friends. The Sea Ranch Resort will be serving Thanksgiving dinner from 12:00 PM until 4:00 PM in our intimate Bistro restaurant. This year’s Thanksgiving menu features three starters, five delectable entree choices, and four desserts to choose from. Entrees range from the Traditional Roasted Turkey Plate to an Outer Banks Thanksgiving style dish- the Broiled Seafood Platter. The Beachside Bistro will also have a children’s menu available for those 12 years and under. Download our PDF menu here! If you have family or friends visiting you for an Outer Banks Thanksgiving that need lodging, send them to our special offers page! The Sea Ranch Resort is offering special fall discounts now until November 22, 2018. Don’t miss out on these special fall deals. We add new deals regularly so be sure to check back to this page often. Sign up for the OBX Gobbler 5k and/or the fun run on the morning of Thanksgiving day! Registration is open until November 19 (unless capacity is reached before this date). The races will take place in The Village at Nags Head at 8:00 AM. See more information about the race here. The Sea Ranch Resort also offers special group rates and pet friendly stays on the Outer Banks. We are located in the heart of Kill Devil Hills, central to shopping, nightlife, and the nearby movie theater. Sign up today to find out about upcoming events, special offers and latest news.